Learn Portuguese Online with a Simple Method. with this simple and proven method! Read the phrases in Portuguese and compare with the English translation. The more you read, the more you will understand. Listen carefully each phrase and keep reading. Practice until you understand all of them without reading the Portuguese phrases. As soon as you understand the phrases in Portuguese, say each of them aloud - soon after the voiceover. You will improve your pronunciation quickly. Your preparation phase is almos complete. Now, write down each one of the phrases. So, roll up your sleeves! On this section you will find 12 extra videos with examples to help you speak the basic about yourself, your plans and your daily routine. When you purchase this Course, you will have access to all the resources at once to study at your own pace. AND HOW DID HE DEVELOP THIS METHOD?" Is it possible to speak Portuguese before I visit Brazil? Is there a shortcut to learn Portuguese? How can I learn Portuguese as soon as possible? And you can do the same with Portuguese! 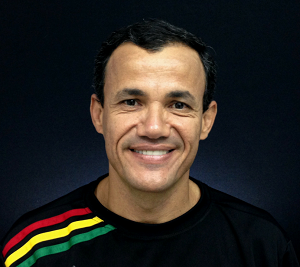 Hello, I'm Charlles Nunes, and when I was 22 years old, I had to learn English on my own. Imagine how frustrated I was for feeling like a foreigner in my own country. On our way home, one of my coworkers offered his help. I got excited, for his first language was English! On the next morning, we got up at 5.30 and started reading aloud for an hour. And so we did for 90 days. He never gave me a lecture. Nor even taught me grammar. Neither asked me to memorize words. All we did was reading aloud in English. I understood more and more the spoken English. I started expressing myself in a better way. I used the English language in my workplace. This new horizon made me fall in love with languages so that I graduated in English and Portuguese. In 2001, I even wrote a book to tell the whole story. I trained CEOs from companies like Westinghouse, Nestlè and CSN. I worked as a Coordinator in the PanAmerican Games Rio 2007. I was an interpreter in a Project at a Brazilian Power Plant (Angra 1). IT'S YOUR TURN: SPEAK RIGHT NOW! Listening to Portuguese every day, you will learn the right pronunciation of the basic words. So, you will not have to spend time studying grammar by now. 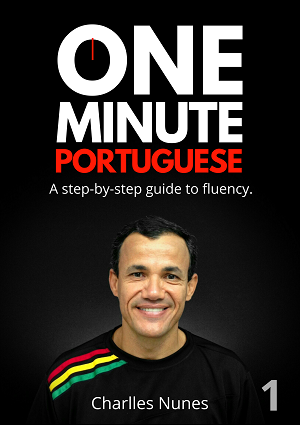 You will start speaking Portuguese the natural way. Do the math... with less than a dolar a day - cheaper than a snack - you will take your Portuguese to the next level - for a lifetime. Act now and join our team! 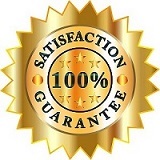 If you are not satisfied with your purchase, you have my FULL GUARANTEE for 30 days. Just sent me an e-mail and I will send all your 97 dollars back. You've got my word for it!